Many jurisdictions in Northern Florida utilize a uniform bond schedule that sets certain amounts for certain criminal offenses. With many felony charges, the amounts of these bonds can be simply unaffordable for average people. Unless an alleged offender is accused of a capital felony, he or she has the right to request a lower, more reasonable bond prior to any conviction. After a person has been arrested, he or she will usually make his or her initial appearance before a judge within 24 hours and it is critical to have legal representation at this time to ensure that the alleged offender gets the most favorable bond terms possible. If your loved one has been arrested for any type of criminal offense in Northern Florida, The Pumphrey Law can fight to get him or her released from custody as soon as possible. Don Pumphrey, Jr. and the firm have more than two decades of combined legal experience with the criminal justice system in locations throughout the Florida Panhandle. Our Tallahassee emergency bond hearing attorneys assist clients all over Leon County as well as surrounding areas such as Franklin County, Gadsden County, Jefferson County, Liberty County, and Wakulla County. We will provide a thorough evaluation of your case as soon as you call (850) 681-7777 to schedule a free, confidential consultation. How many different ways can a person be bonded out of jail? What types of factors impact a court’s decision when setting bond amounts? The alleged offender pays the full amount of the bond with cash, a money order, or a certified cashier’s check to be released. Certain courts may accept personal checks or credit card payments. The amount of this bond will be returned to the alleged offender at the conclusion of his or her case so long as he or she is not assessed any fines as part of a nolo contendere (no contest) or guilty plea. The entire bond amount is forfeited if the alleged offender fails to appear in court after being released. The alleged offender only signs a document guaranteeing that he or she will make all future court appearances. While the alleged offender pays nothing to be released, any failure to appear in court will result in a bench warrant being issued for his or her arrest. A surety company posts a bail bond on behalf of the alleged offender, which is a written guarantee that he or she will make all future court appearances. The bonding company typically charges the alleged offender a percentage of the total bond (usually 10 percent) for this service, and that fee is nonrefundable. The bonding company could also require some form of collateral, as any failure to appear in court by the alleged offender makes the bonding company liable for the entire bond amount. In certain cases, the court may impose a bond condition known as a Nebbia Hold. Also referred to as a Bond Source Hearing, this requires an alleged offender or any co-signers posting bond to provide proof that the funds being used to post the bond have come from legitimate sources. Motions to lift Nebbia Holds can often be filed in conjunction with motions to reduce bond amounts. You can find more information about Circuit Judges and County Judges on this website serving Leon County, Gadsden County, Liberty County, Jefferson County, Wakulla County, and Liberty County. There are also court calendars, forms, and administrative orders. This page of the Clerk of Courts website contains many answers to frequently asked questions. This includes information about acceptable forms of payment, address changes, and getting cases sealed or expunged. Was your loved one recently arrested and is now awaiting a bond hearing in Northern Florida? You will want to make sure that he or she has legal representation in court that will provide the best chance of your loved one being released as quickly as possible with the least amount of financial hardship. Our Tallahassee emergency bond hearing attorneys at the Pumphrey Law fight for residents of Apalachicola, Bristol, Carrabelle, Chattahoochee, Monticello, Quincy, Saint Marks, and many more communities in surrounding areas of Leon County. 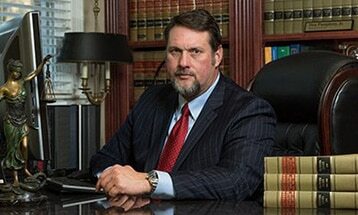 Call (850) 681-7777 right now to take advantage of a free legal consultation.